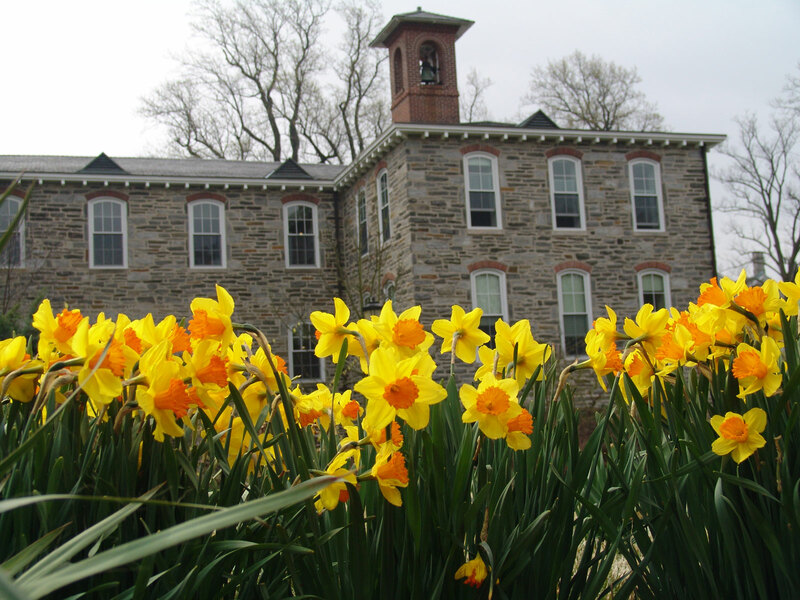 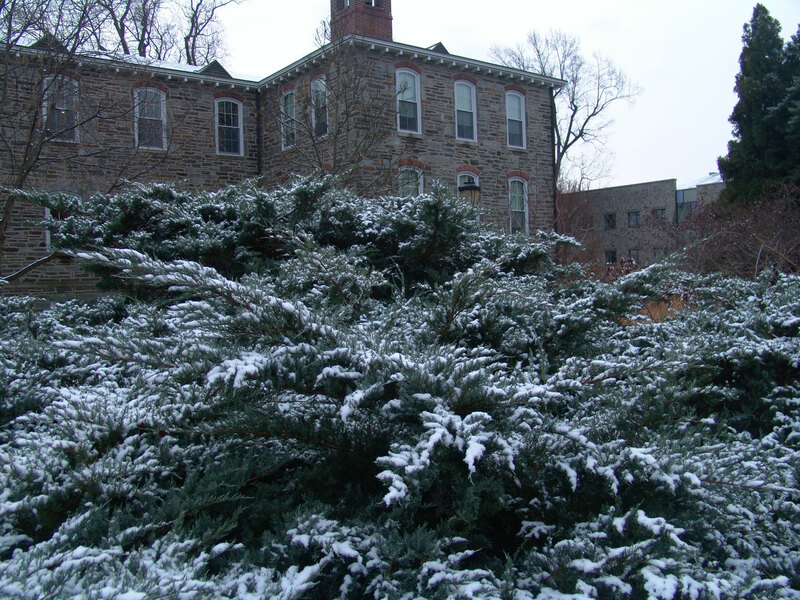 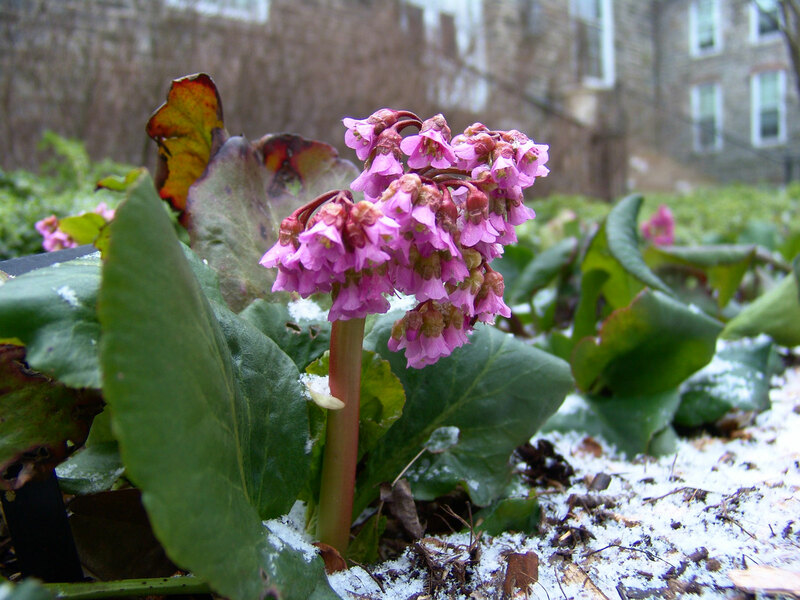 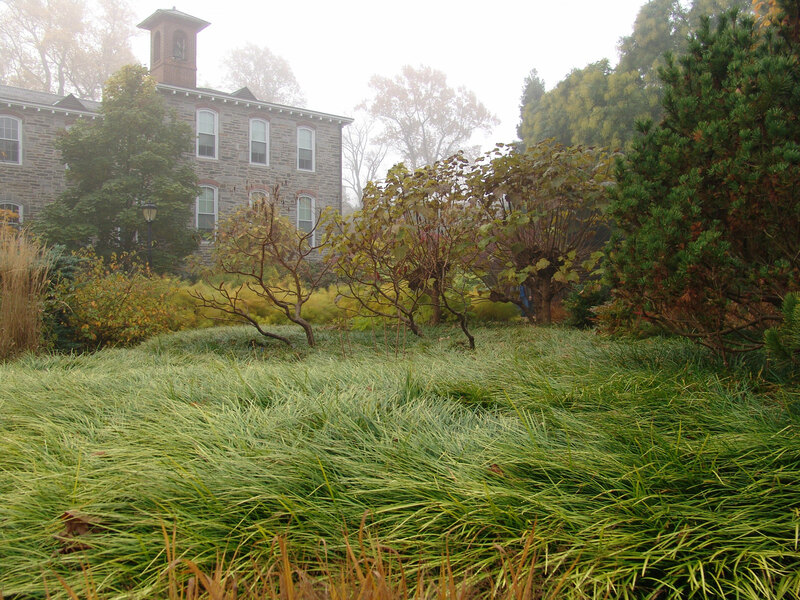 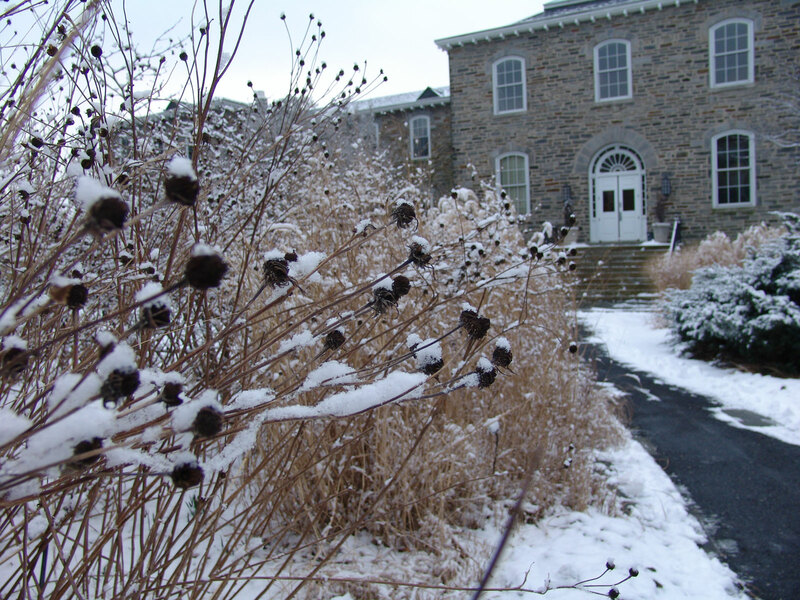 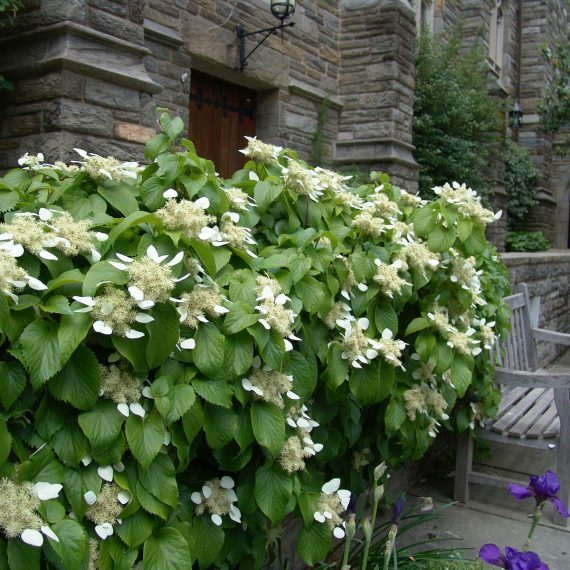 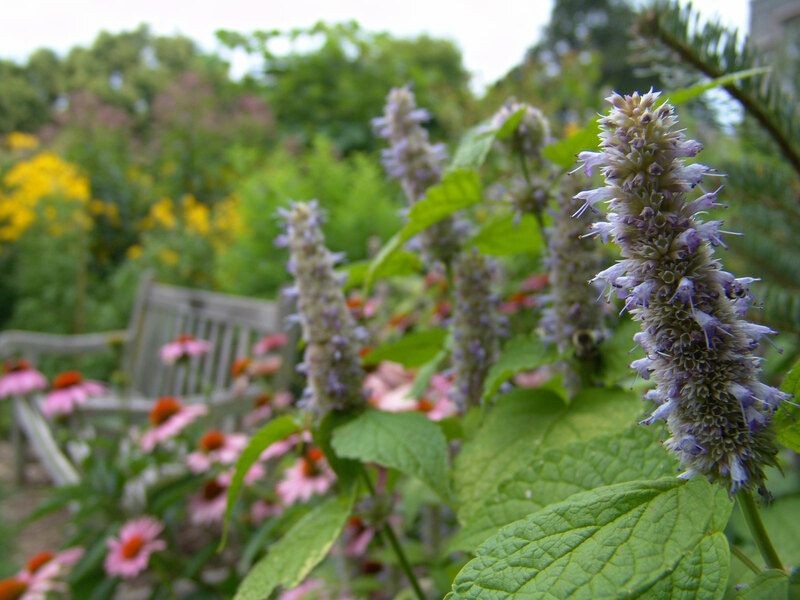 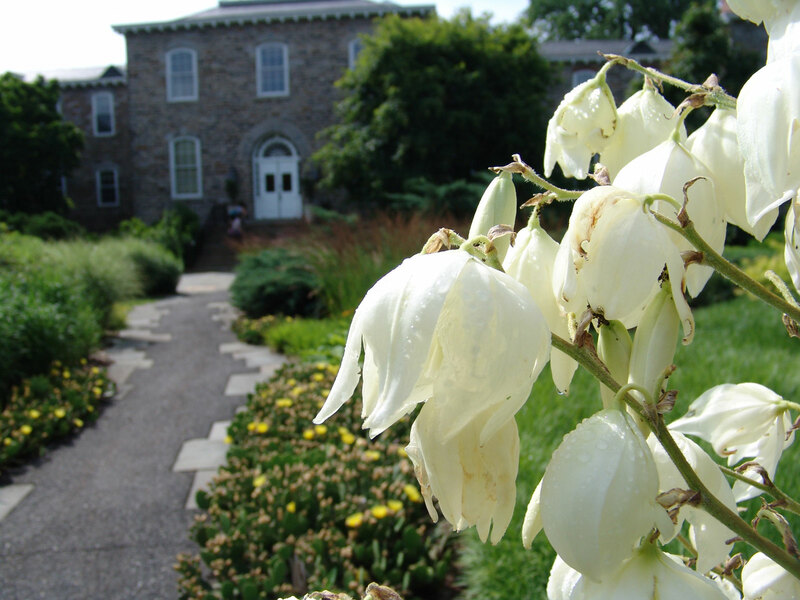 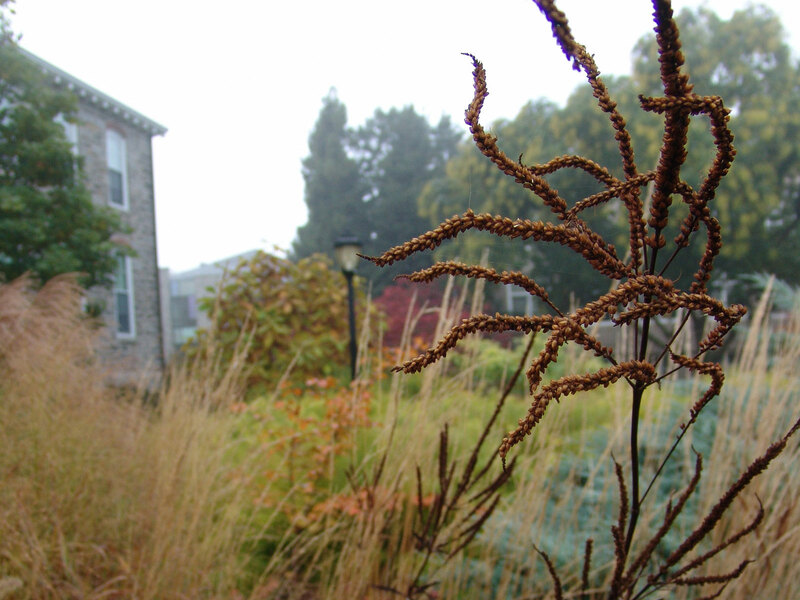 This garden was a gift from the Class of 1948 (Swarthmore College) and is named in honor of John W. Nason, Swarthmore College President from 1940-1953. 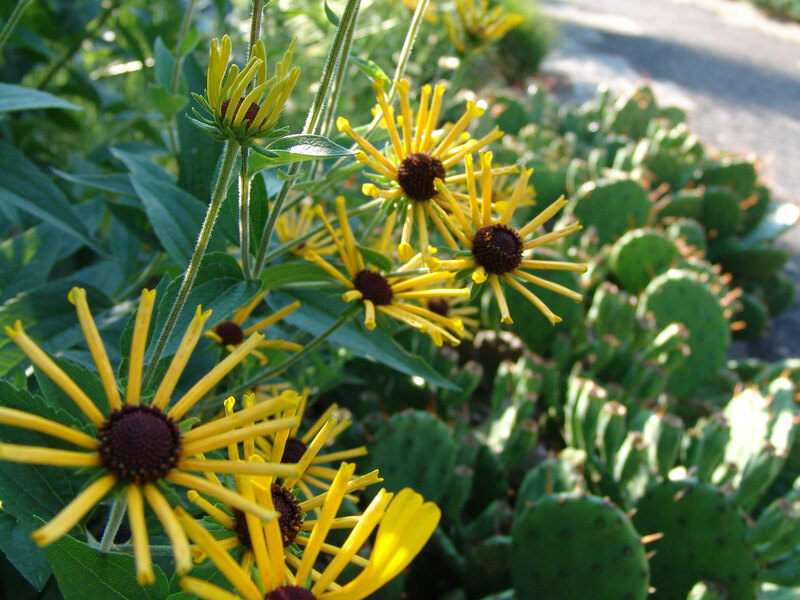 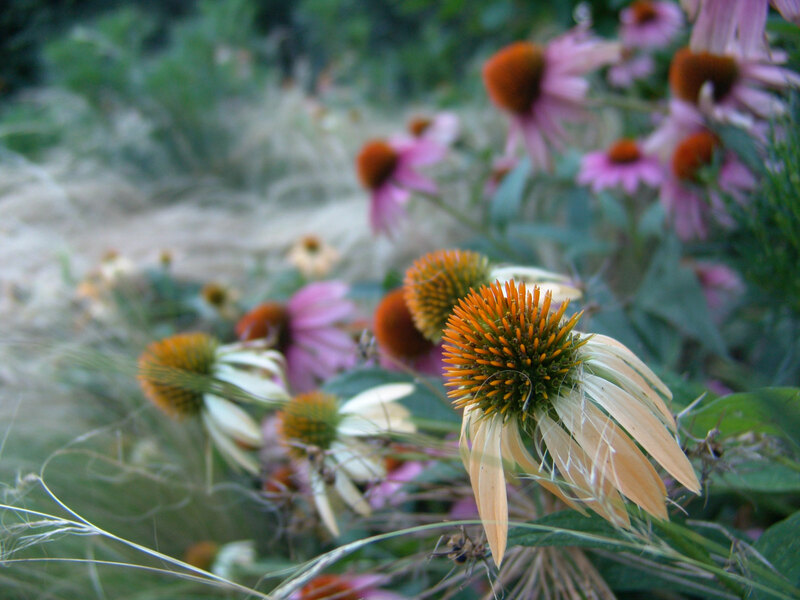 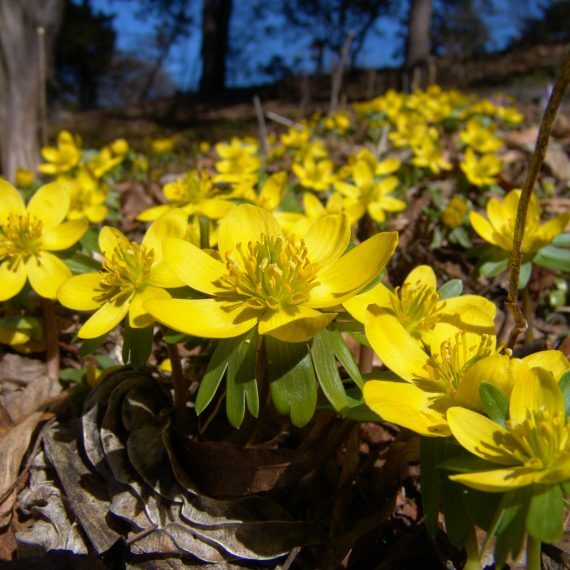 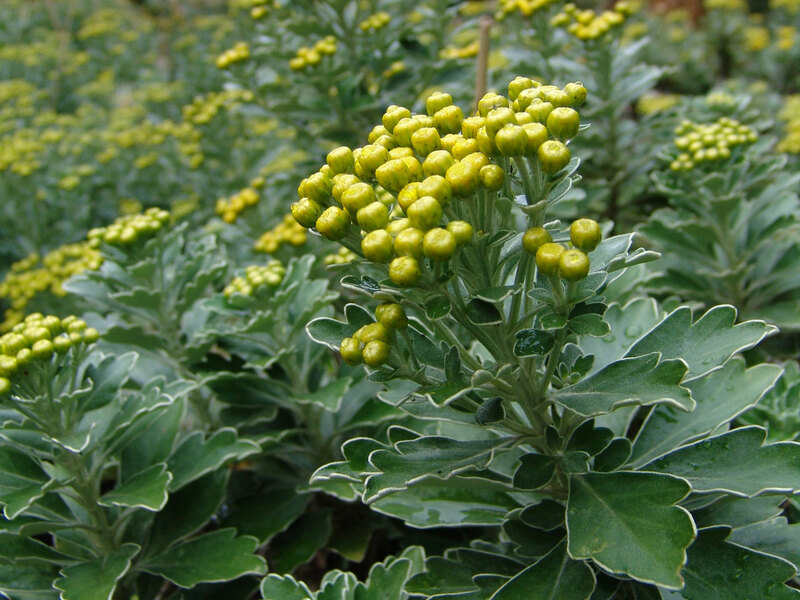 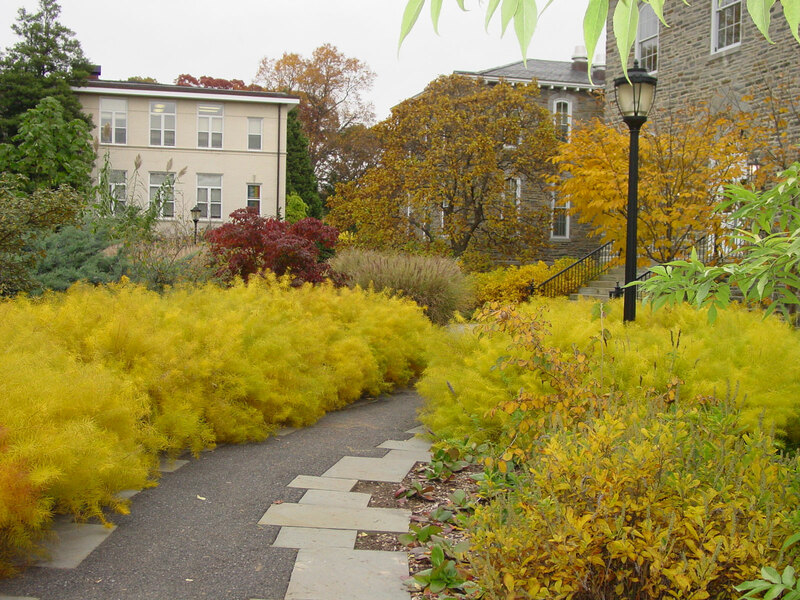 It is a textural garden with many bold- and fine-textured planting choices. 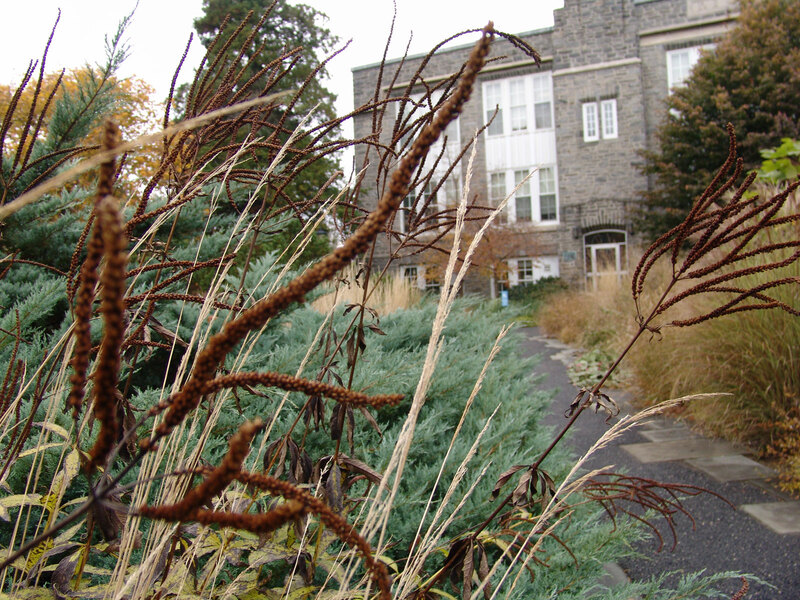 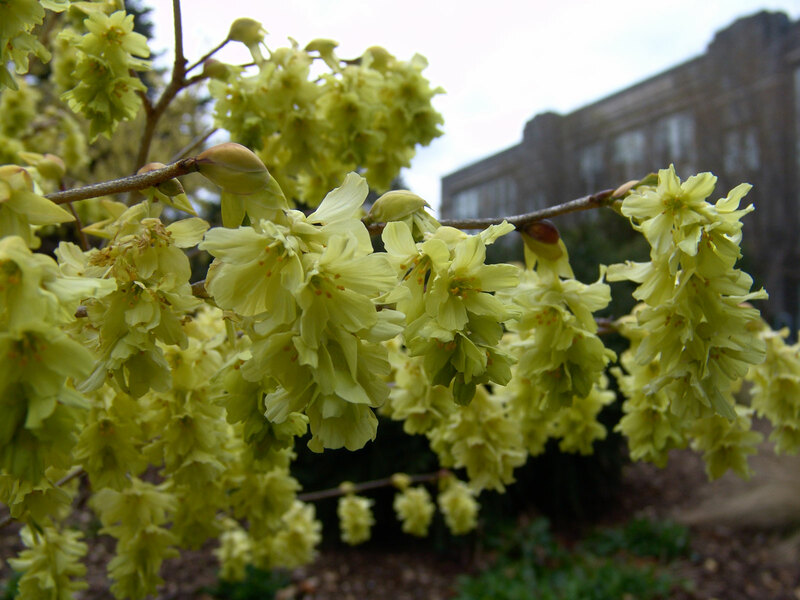 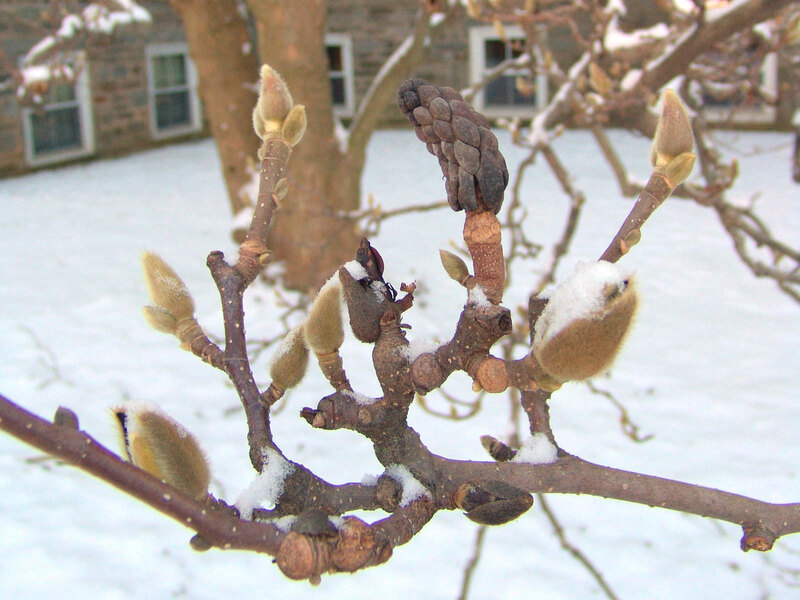 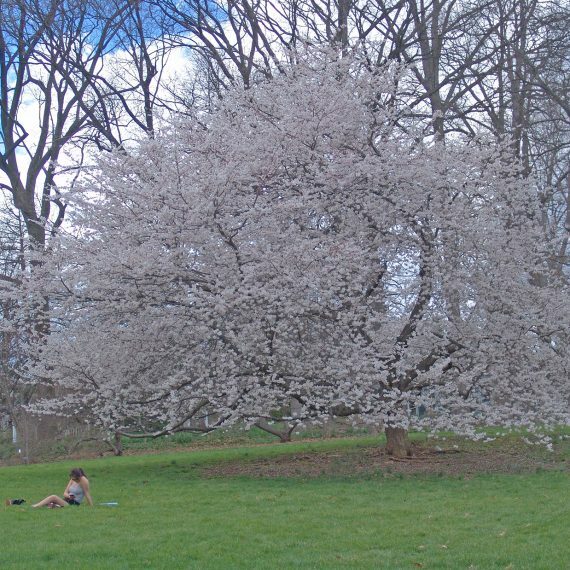 Cutback trees such as Paulownia tomentosa (princess tree), Catalpa speciosa (bean tree), and Robinia pseudoacacia (black locust) tower over sweeps of ornamental grasses and Amsonia hubrichitii (bluestar). 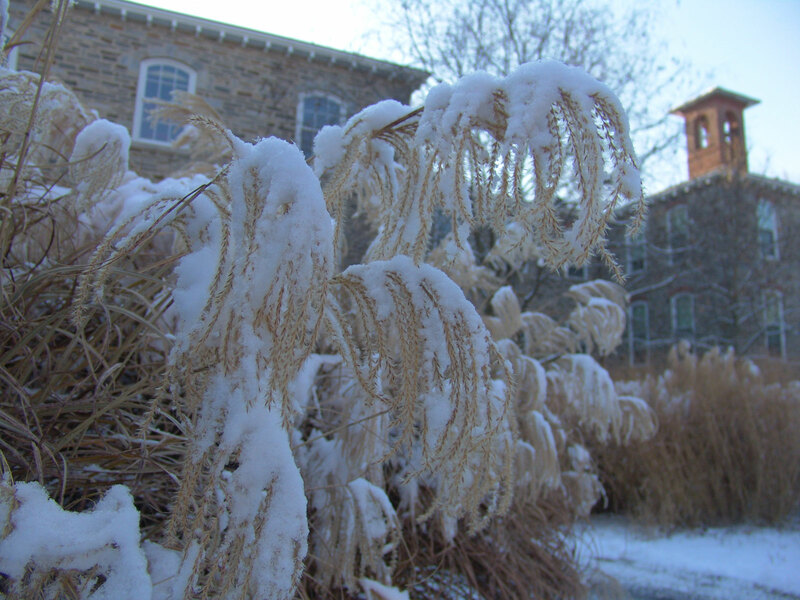 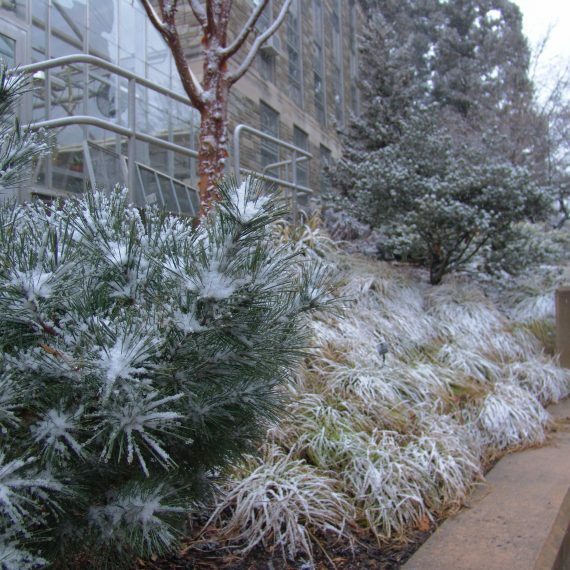 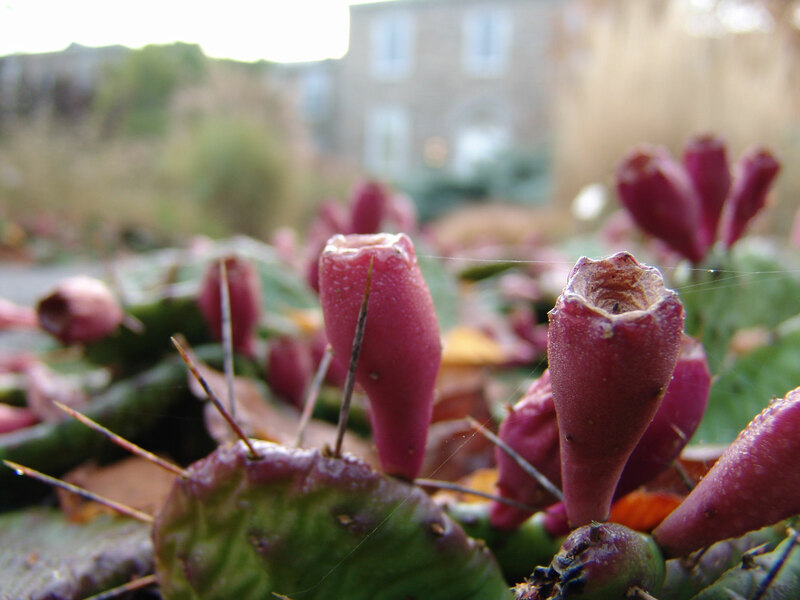 The garden is stunning even in winter when leftover perennial stalks and evergreen shrubs provide interest.